Europe’s Airbus dropped behind U.S. rival Boeing in the race for new airplane orders in the first quarter, sending its shares lower as it recorded its slowest start to the year since 2011. Both orders and deliveries at the European planemaker dwindled, with the latter affected by glitches and delays at U.S. engine supplier Pratt & Whitney. 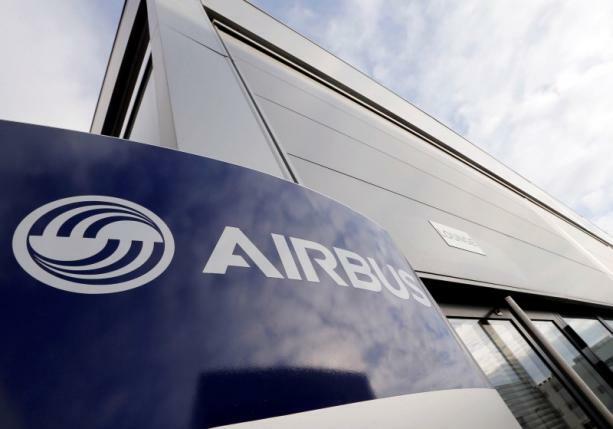 The planemaking unit of Airbus Group did win a fresh boost for its struggling A380 superjumbo with two sales to an undisclosed customer. But the impact on Airbus’s order book was dampened by the cancellation of two A380s by Reunion-based Air Austral which had hoped to introduce a high-density version for tourist flights. Airbus said on Monday it had sold a gross total of 32 aircraft and delivered 125 in the first quarter, down 74 percent and 7 percent respectively compared with the same period last year. After adjusting for cancellations, it posted 10 net orders the lowest figure for the first quarter since 2011. Boeing had reported 140 gross orders between January 1 and April 5, or 122 after cancellations. Shares in Airbus Group fell 1.5 percent against a slightly firmer market. The group also faces growing disruption in export credits amid a potential British corruption probe. Boeing rose 1.2 percent in early trading. Boeing’s first-quarter orders were dominated by sales of 737s to United Airlines (UAL.N) and at least one undisclosed customer. But industry sources say the sale to United Airlines came at a hefty discount and the two sets of company figures did little to dispel talk of a slowdown in aircraft markets that has weighed on some sector stocks this year. Boeing held its lead on deliveries with 176 planes handed to customers in the first quarter, down 4.3 percent from the same period last year. Airbus quickened its new A350 wide-body model with three deliveries in March, bringing the total so far this year to four. It targets more than 50 A350 deliveries this year. But engine delays took their toll on deliveries of narrowbody planes, which despite plans to raise output fell to their lowest first-quarter total since 2011, at 103 aircraft. Industry sources say Pratt & Whitney has slowed deliveries while it fixes software and startup times on its latest engines, leaving a backlog of partially assembled jets in Toulouse. At 46 percent, Airbus posted its lowest quarterly share against Boeing of cash-generating narrowbody deliveries since 2004. Airbus says it expects to catch up later in the year, while Boeing has predicted a slowdown in annual deliveries as it prepares the transition to a new model of 737. In the first quarter, Boeing’s narrowbody deliveries were stable at 121 aircraft.